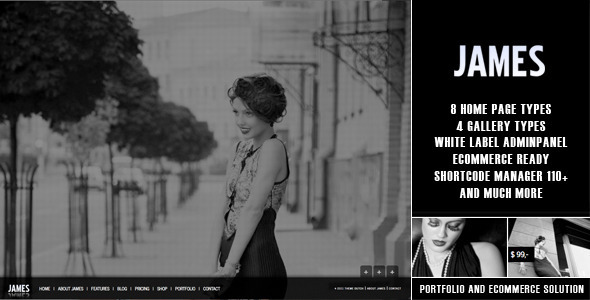 James The Next Generation is a comprehensive portfolio/blog theme that speaks for itself! This fresh and extravagant portfolio theme will definitely appeal to your audience. James has spectacular features in full screen to showcase your portfolio or blog. 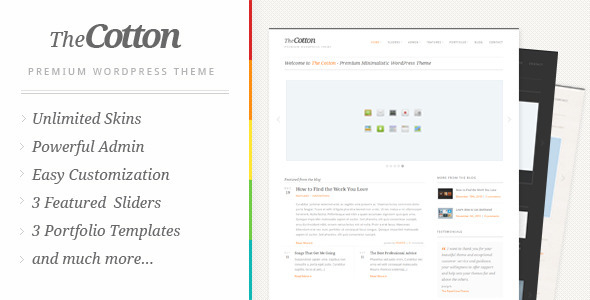 James theme contains everything you need to surprise and impress your client(s). It also provides an easy solution to sell your work online and offers integration options with the free ecommerce plugin eShop. 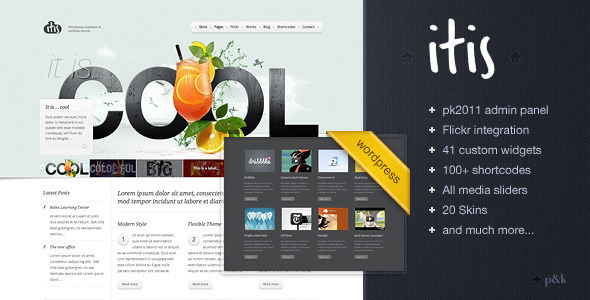 Itis A premium Flickr WordPress theme. The Itis theme fully integrates the Flickr API and lets you import in your theme all your recent photos, favourites photos, tagged photos, photo sets and galleries without limits. The top slider page (the current home page) can load any media, recent works, recent blog posts or a specific category. Highlight is a powerful and fully customizable WordPress theme – it is built with all the main functionality you will need to show your products, work and yourself in a professional style. 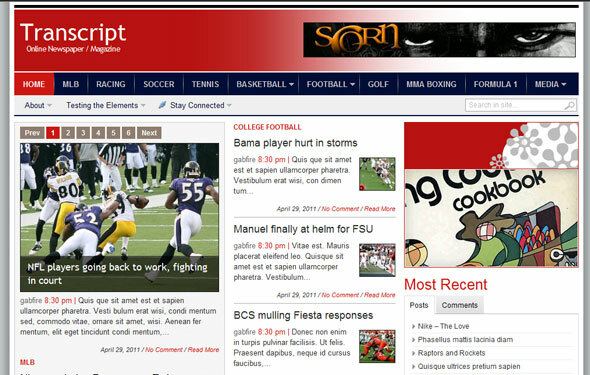 The Highlight theme is highly flexible and created to be easily customized, even for newbies. With the powerful admin changing the color scheme is super simple and for the most parts you won’t need an image editor. The Highlight theme is best suited for any business, portfolio, photography and personal sites. 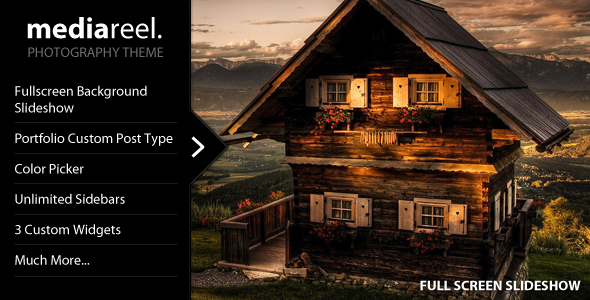 MediaReel is a powerful, premium fullscreen background WordPress theme great for photography and portfolio websites but can also be used for other projects. 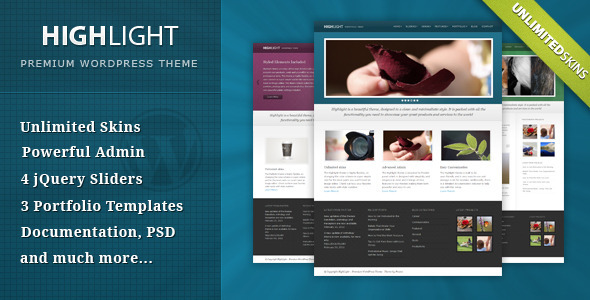 Delight is a Powerful Professional Wordpress Theme, with Fullscreen background. It requires PHP5 . Delight theme comes with many jQuery effects (Cycle, Tabs, Accordions, Drop Down Menu, Tooltip, Colorbox, Auto alignment and more…), unlimited skins, unlimited possibilities, Google web fonts, different page templates, drag & drop system to compose your contact forms, and slideshows, a huge number of shortcodes with useful buttons in the text editor, a powerful extended administration panel, widget ready with four internal widgets, easy to translate with a .po file. 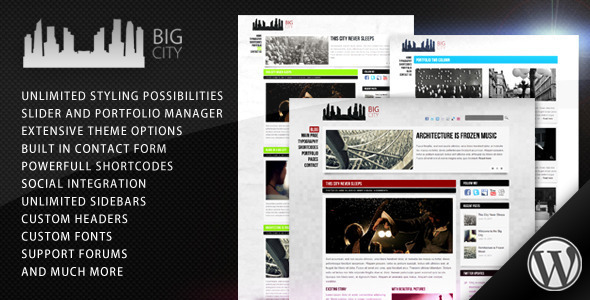 Big City is a Personal and Blog WordPress Theme. Packed with powerful features to suit almost every needs and yet so simple to use. 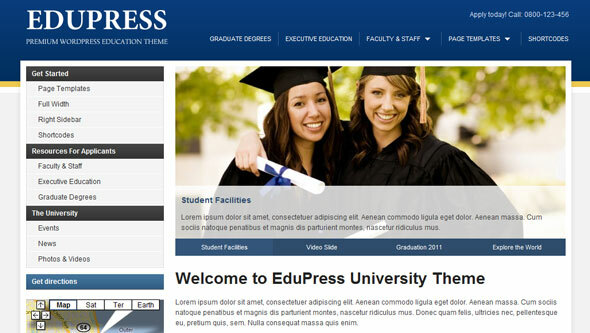 EduPress is a beautifully organized education WordPress theme for universities, colleges, schools, etc. Enhanced with 7 custom WPZOOM widgets, this theme is flexible, versatile and easy to customize. G6 Feature is a Powerful Professional Premium Wordpress theme made for your Personal, Blog, Portfolio, Business or almost any other kind of website. 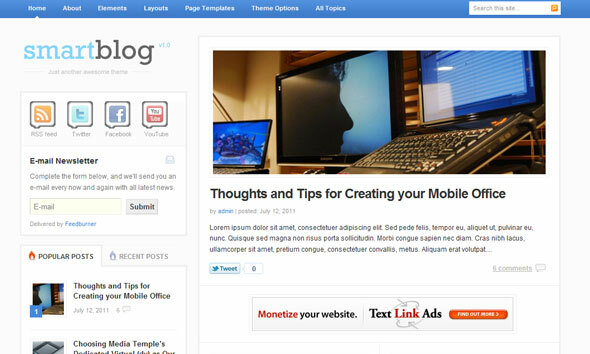 Smartblog theme has been released. This theme has a modern looking and includes 3 layout options, 6 stylish color schemes, 7 useful custom widgets and a lot more features. With Smartblog theme you could turn your blog to a professional & attractive site very easily. 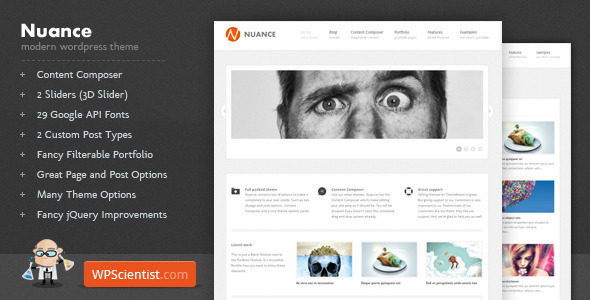 Nuance is a theme that we’ve made with in mind to keep it simple and flexible as possible. Like our other themes, Nuance contains the amazing Content Composer so you can create professional pages in minutes! There are lots of Page and Post options that you can use to make every page unique to your needs. 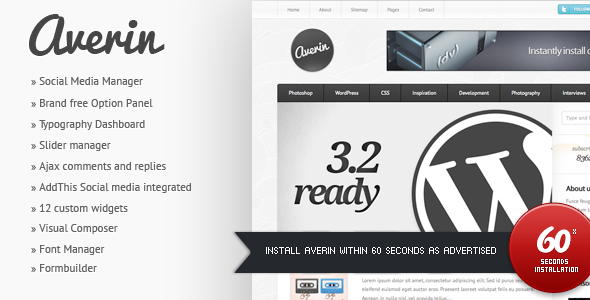 Karma is a Premium Wordpress Theme built on a highly intelligent framework. It’s the only theme on Themeforest to feature the amazing new CU3ER v1 3D slider. 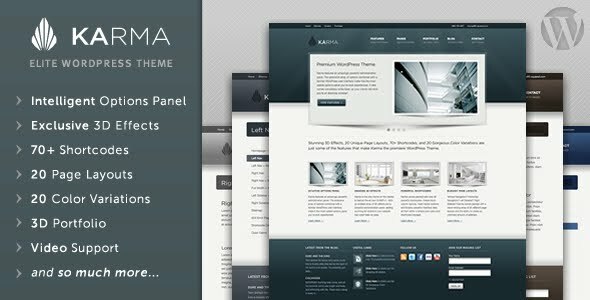 Whether your a wordpress pro or just a beginner, you’ll have absolutely no problems at all working with the Karma theme. 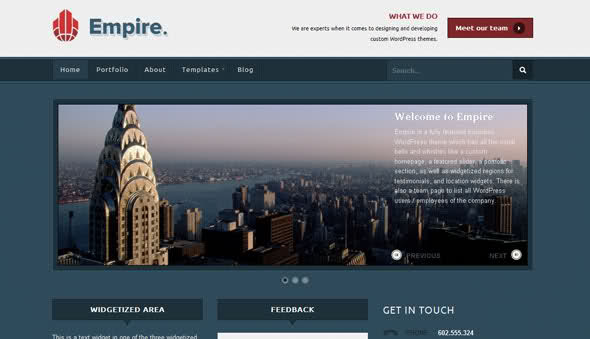 Empire is a multi-functional business theme with clean typography & coloring and subtle box shadow styling. 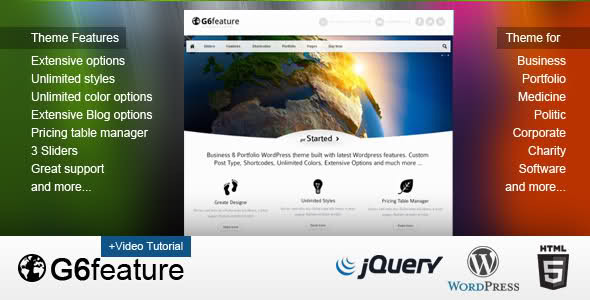 It has a customizable slider, uniquely styled widget regions, a portfolio section for products or galleries, and a team page template.